The Fed ceded to pressure following a turbulent day on global markets Monday and cut the Fed Funds rate by 0.75% with immediate effect, bringing the core interest rate down to 3.5%. The is the largest single-day cut in interest rates in living memory and it may well determine the legacy for which Ben Bernanke will be remembered, even if he is now just 2 years into his tenure as Fed Chairman. Today’s announcement is a highly controversial move because it comes 1 week before the Fed was scheduled to meet in regular session to deliberate on monetary policy and an out-of-meeting cut may be adjudged to being no more than a knee-jerk reaction to the sell-off in global stocks witnessed yesterday and timed to prevent a sharp sell-off on US stocks Tuesday. If President Bush’s stimulus plan, unveiled last Friday, had gotten a positive reaction from markets, would the Fed have cut rates at all before their scheduled meeting next week? Only time will tell if the pre-emptive move in any way benefits the US consumer and the wider US economy as much as the Wall Street share prices, which should now be spared a drubbing today. If anyone was still uncertain whether the US economy is either in or on the verge of a recession, today’s Fed decision has removed any doubts. The dollar has plunged following the announcement and has lost over 2 cents to the euro, while the dollar is also down 2 cents against sterling and over one cent against the Canadian dollar. Rates were also reduced in Canada Tuesday, but by a much more modest 25 basis points. Having hit a low of 1.4368 earlier this morning as soon as the European session opened, the euro has since then surged to over 1.46, putting Monday’s collapse behind it. Trading is incredibly volatile but with stock markets recovering this afternoon thus far, risk aversion levels have dropped somewhat and led to a broad sell-off of the dollar. The dollar is now essentially a low-yielding currency with interest rates at 3.50%, i.e. rate differentials now favour the euro by 50 basis points, an important consideration when holding the currency pair. If there is a significant bounce in stocks today and into tomorrow, following the Fed rate announcement, we should see the euro rise against the dollar, possibly back up towards 1.48. Traders will be afraid to buy the dollar in the belief the Fed move today was largely detrimental to the currency and the immediate risks for the greenback lie to the downside. However, when the stock rally runs out of steam, focus will shift back onto question of a global economic slowdown, and this will tend to benefit the US currency, with safe haven funds likely to flow back into US-denominated assets. It is very dangerous to trade the market today given the level of volatility and uncertainty that abounds, especially as the euro has already gained over 2 cents against the dollar. It may come under some selling pressure if the pair approaches 1.4720, the point at which the pair stalled towards the end of last week, but momentum could possibly take the pair back towards 1.48 in the coming days. Strategy: Wait for markets to stabilise before entering. Buy on dips only if Wall Street closes strongly this evening with limit prices of 1.4680, 1.47 and 1.4720, 1.4770 and 1.4820. Sterling has generally had a good day, although it lost out marginally to the euro. It has gained 2 cents against the dollar and also made a significant impression against the yen and the Swiss franc. Cable is back trading at 1.96 having gone as low as 1.9333 this morning. Sterling’s gain is purely down to the Fed surprise rate cut with high yielding currencies benefiting from a resumption of the carry trade and a broader dollar sell-off. The event of Monday however cannot be forgotten and the underlying fundamentals that caused such market stresses have not changed, so cable will slide again if risk aversion levels rise. Wednesday is a high risk day for sterling with both the minutes from the Bank of England’s January meeting and the first print of the quarter 4 GDP numbers due for release. Quarter 4 GDP is forecast at 0.5% and anything lower will be negative for the currency while if the minutes of the January 10 monetary policy meeting reveal that 3 or 4 members of the committee voted for a rate cut, then this too will hurt sterling as it would most likely rubberstamp a cut for the February meeting. Cable is going to be unpredictable following the Fed rate cut today, but futures markets had already priced in a 75 basis points cut for next week, so the upside for sterling should be limited to around 1.97 for now. There will also be pressure for the Bank of England to be more aggressive in its easing policy and this too will tend to limit support. Strategy: Sell cable on failed rallies to around the 1.97 price level, with target limit prices of 1.9570, 1.9540, 1.9480, 1.9440 and 1.94. The yen retreated sharply following the Fed’s rate announcement Tuesday, with traders anxious to load on carry trades, in anticipation of a lift in stocks and risk tolerance levels and using the low-yielding yen as the funding currency. The currency had made exaggerated gains in the past week and was always going to come under attack once risk appetite returned to the market. The Bank of Japan had earlier announced that Japanese interest rates were to remain on hold at 0.5% and Governor Fukui indicated the Bank was also not in any rush to change the base rate. With rates in Japan remaining significantly lower than elsewhere the decision has little market impact. The medium term to longer term outlook however for USD/JPY would appear to be limited on the upside as rate differentials between the two currencies have now been slashed by 1.75% in the past 4 months and are likely to be narrowed even more in the coming months. The yen has given back all of the gains it had made against the euro since last Friday, while it also fell sharply against the pound and the New Zealand dollar. If stocks rebound in Asia tonight and continue their recovery into Europe and the US Wednesday, the yen will remain under pressure, but the reversal should prove to be temporary as the underlying fundamentals that led to the US recession fears and the sharp sell-off on global financial markets have not been changed by today’s Fed rate cut. There is some value in buying EUR/JPY with the prospect of a retracement back to Y160 over this week. The dollar will struggle against the broader currency basket but should be able to retrace modestly against the yen, back towards 108 over the next 2 days. Stock market performance again needs to be monitored closely because any further sharp dip in share prices will lead to a very fast bounce in the yen. Strategy: Buy EUR/JPY on dips towards Y154 with upside price targets of Y156.50, Y1.57.30, Y157.80, Y158.20 and Y158.50. The Fed’s emergency rate cut has stalled the bull run on USD/CAD and there is no doubt the pair was poised to hit 1.05 Tuesday, if Bernanke had not stepped in to try to avert carnage happening to US stocks. 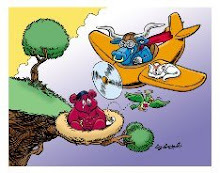 How it will play out over the coming days is dependent on how global stocks perform but with futures markets betting on a further rate cut from the Fed next week, when it meets in an official session, the probability favours stocks getting some kind of reasonable bounce in the coming days. If they don’t, then Bernanke will have misjudged the situation and failed spectacularly. A bounce in stocks will tend to favour the Canadian dollar, although the medium term and longer run outlook is for the resumption to the upside for USD/CAD. The Bank of Canada itself cut its interest rate by 25 basis points today to 4.0% but it has lowered its growth outlook and strongly signalled further rate cuts are on the cards in the near term. Contagion from a US recession will hit Canada’s economy more than any other country and with commodity prices likely to come under pressure in the face of a wider global economic slowdown, a number of negatives are beginning to stack up for the loonie. Retail Sales out of Canada increased at a much higher than expected 0.7% in December, but when the effect of the huge increase in gasoline prices that month is removed, sales only rose by 0.2% from November. We may see a bold attempt at a retracement on USD/CAD back to 1.0180, 1.0120 and even 1.0050 before the uptrend takes off again. This Friday sees the release of the consumer price index for December in Canada and a soft set of figures will set the loonie back. The greenback’s best chance of a quick resumption of the uptrend is if US stock’s stumble badly before the close today. Strategy: Buy USD/CAD on dips towards 1.0180 and 1.0120, with upside price targets of 1.0220, 1.0250, 1.03 and 1.0350. A sustained break above 1.0370 should then pave the way for a momentum-led move to 1.05. If you are long using a positional trade, hold the position and maintain target of Y105 and a stop loss below parity line. USD/CAD is likely to remain volatile over the coming days and tight stop losses will be taken out easily. Wednesday will feature an article by Ted B on the actions of the various Central Banks to the current economic uncertainty.